Dr. Palmer graduated from Life Chiropractic College in 1989. Prior to studying at Chiropractic School, he attended William Paterson College. Dr. Palmer has been practicing for over 25 years. He has been in his current location for 20 years. Since he began practicing chiropractic, Dr. Palmer has kept up to date with continuing educational classes, ensuring that his patients receive the most comprehensive and advanced chiropractic care. 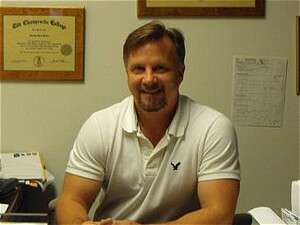 He has many years of experience dealing with injured patients, ranging from weekend warriors to professional athletes. He also has extensive training in treating work and auto related injuries and has testified several times on behalf of his patients in court.